Qualcomm has launched the Snapdragon X55 multimode 5G modem. This advanced modem is actually Qualcomm's second gen follow up to the Snapdragon X50, announced back in 2016. While the X50 has "become an essential part of virtually every major 5G trial or launch," Qualcomm wants to deliver a leap forward, accelerate global 5G rollout, and bring 5G to a broad range of device categories and applications with the X55. 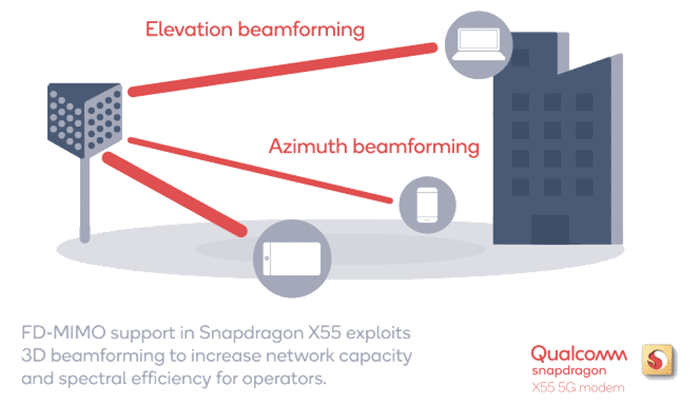 As well as smartphones, the new Snapdragon X55 will be appealing to designers of hotspots, Wi-Fi routers, Always Connected PCs, laptops, tablets, XR devices and connected cars, reckons Qualcomm. 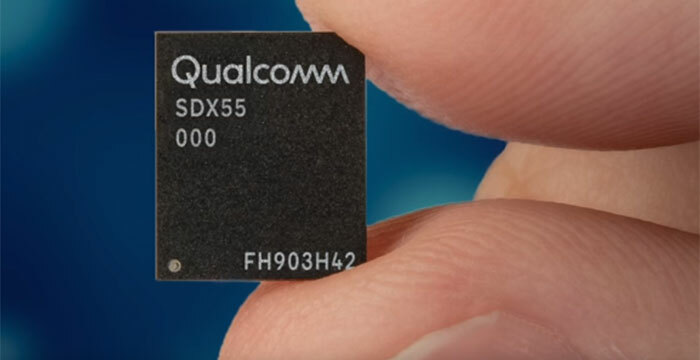 The previous gen Snapdragon X50 was 5G-only, so while it was good for testing devices using 5G it would require the partnership of another modem with 4G, 3G, and 2G connectivity for fall-back communications. The X55 fixes this issue with its multimode capability. Furthermore, the X55 brings along an extra shot of speed. Qualcomm says that the X55 modem supports 5G in both its mmWave and sub-6GHz spectral options. When it rolls-back to 4G it is still a potent performer. Its 'cutting edge LTE features' include 24 spatial streams, 4x4 MIMO, and 1024-QAM. Moreover, it supports 2.5Gbps LTE peak speeds enabled by Category 22 LTE - that beats the 2Gbps offered by the current Snapdragon X24 LTE modem. The new Snapdragon X55 is built on an unspecified 7nm technology, while the previous gen X50 was rumoured to be built upon 10nm. Qualcomm states that the Snapdragon X55 is sampling now and will feature in commercially available devices by late 2019. Here in the UK, EE recently confirmed that it will launch its 5G network this summer, and users will pay "a few pounds more" for the "faster, better experience". Rather than a faster phone connection which costs more, I am more interested in Three's idea of using 5G as a "genuine alternative" to fixed line fibre broadband, which seems to imply a better value proposition than 3G or 4G. Three recently introduced unlimited 4G broadband for £22pcm. 5G affects birds in a negative way? Fact check for you, make sure you double check what you read. No test occurred when the birds died.